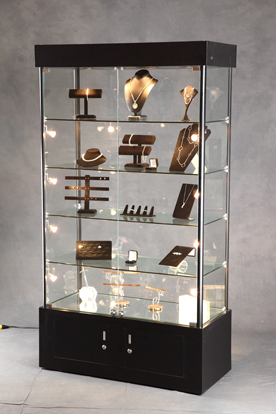 With this gorgeous lighted tower display customers won't be able to resist your merchandise. 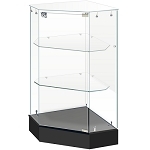 This display cabinet allows you to show your customers a whole new view of the merchandise that awaits them. 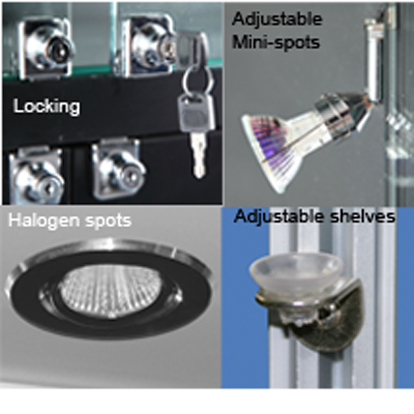 Your customers may be as enamored of the lighted floor display as they are of what's inside. Let the light lead them in force to see what lays ahead in this display case. Then watch them return again and again. Purchase today! 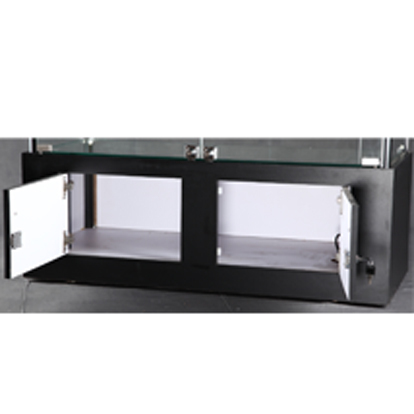 4 glass shelves and bottom mirrored deck - each shelf can hold up to 44# and the bottom shelf can hold up to 88#'s. Q: What is the weight limit for the shelves, Can this handle a display of minerals and rocks? 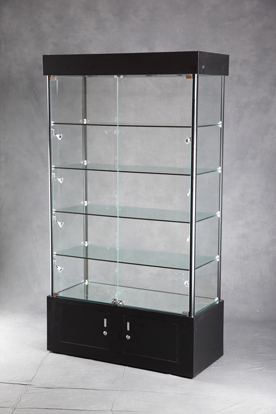 Q: Does this display case (Lighted Tower Display Case - 4 Adjustable Shelves) get delivered assembled? A: For the most part it is fully assembled. You would have to put the glass shelves in it.